Wolves will make Molineux a flag fortress tomorrow as Everton come to town for their Premier League opener. 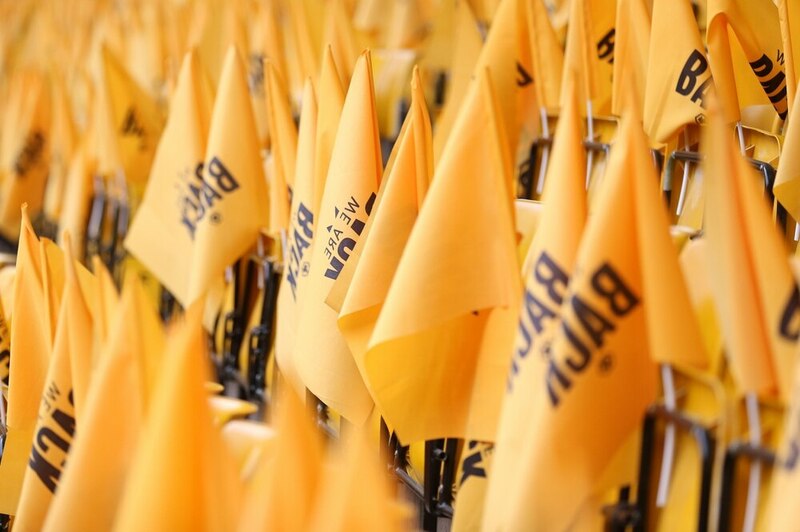 Thousands of black and gold flags have been planted in supporters seats by volunteers over the last 48 hours. Each flag will contain the phrase 'One Pack' as Wolves look to create a frenzied atmosphere in front on the Sky cameras. Nuno has stressed the importance of a 12th man for all home games this season as they look to get off to a strong start in the Premier League. The club saw remarkable success last season, and introduced flags for supporters late in the season against Sheffield Wednesday, after sealing their title campaign. That occasion ended in a 0-0 draw, and Wolves will be hoping that re-introducing the celebratory flags for their first home game of the Premier League season will create a similarly electric atmosphere - as was on offer against Wednesday. Wolves will take on Everton on Saturday evening, with kick-off scheduled for 5.30pm.